The ship is named after the Lofoten archipelago, which lies just north of the Arctic Circle. The islands are famous for their dramatic scenery and are often described as “nature´s masterpiece.” MS Lofoten´s unique qualities, lounges and decks make this elegant vessel inimitable in its own right. 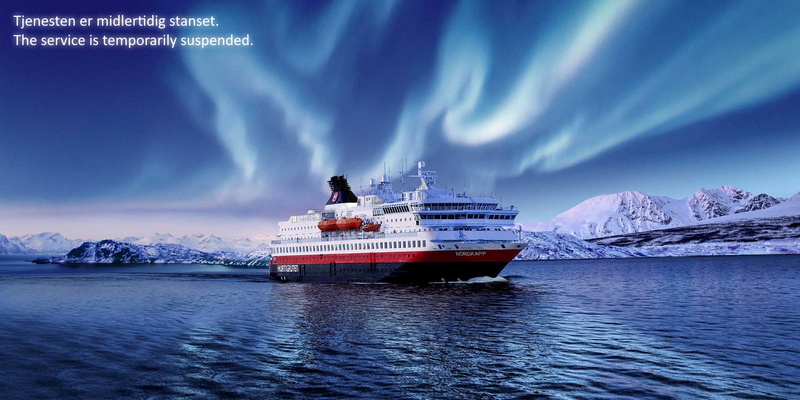 Prepare for a classic Hurtigruten experience on this beauty! Sail back in time on MS Lofoten and experience life along the coast as it was more than 50 years ago. Commissioned in 1964, this “grand lady” is the oldest vessel in our fleet. Sailing with MS Lofoten you experience vintage charm and splendor to the fullest. Enjoy cruising close to shore, interacting with other guests and crew, and experiencing a sense of timelessness on this authentic maritime adventure. The upcoming 2020 season is your last chance to experience MS Lofoten’s evocative 1960s atmosphere on our famous 12-day, 34-port voyage along the Norwegian coast. In December 2020, after 55 years faithfully sailing the Norwegian coast every day and every season, MS Lofoten will stop her daily service between Bergen and Kirkenes. Affectionately known as ‘The Old Lady of the Sea’, she is the most classic ship in our family and a glorious testament to the golden age of ocean liners. We invite you to come and be a part of her historic, final scheduled sailings, before she sets off on the next stage of her seafaring life. The highlight of MS Lofoten is her authenticity. Much of the ship’s original décor has been lovingly restored and maintained, such as wood-panelled interiors, various brass fittings, original art, and porthole windows. She boasts comfortable lounges, generous panorama decks, and simple, cosy cabins. All add to her charm as a firm favorite for past guests. Her long-standing years of service mean she is also officially protected as a key part of Norway’s maritime heritage, and rightly so. The smallest ship in our fleet carrying an average of 100 passengers, MS Lofoten attracts discerning travellers who prefer an intimate atmosphere and an authentic experience. The ship’s size and nostalgia for vintage sailings of the 1960s make it easy to meet and make friends with fellow passengers who will likely share your appreciation for her timeless beauty. Guests on MS Lofoten always rave about the Coastal Kitchen concept on board, especially the delicious four-course dinners inspired by the menus from the 1960s. Expect lavish buffets of prawns, crab, mussels, salmon, cod, and Arctic char, each delivered fresh from local suppliers at ports we visit during the voyage. In the style of a grand hotel, customary sherries or aperitifs are enjoyed before dinner, and for an extra touch, our crew don traditional uniforms to serve the food from silver platters. Our Polar inside cabins are situated on the lower deck and offer a cozy atmosphere. All I2 cabins have a private shower/WC. All cabins have upper and lower berths, and the lower berth converts into a sofa. Some of the cabins have berths on the floor, while others have upper and lower berths. The cabins have washbasins inside and a shared bathroom/WC in the hallway. Some D1 and D2 cabins on B-deck have a porthole, which may be locked during bad weather for safety reasons. These comfortable, standard inside cabins for up to two people on the lower deck have upper and lower berths (bunk beds), one of which converts into a sofa. Some of these standard inside cabins for up to two people on the middle or lower decks have berths on the floor, while others have upper and lower berths. The cabins have wash basins inside, and a shared bathroom/WC in the hallway. The Polar outside cabins on MS Lofoten are situated on the upper, middle and lower decks. All have private bathrooms with shower. All of the cabins have separate berths, some converting into a sofa, while others offer upper and lower berths. Some of the cabins have more facilities than others. A2 cabins on B-deck have upper and lower berths (bunk beds) and a porthole. A2 cabins on the Salon deck have larger windows. J2 cabins have berths on the floor, and limited view. N1 and N2 cabins have the best view, but there is a walkway outside the cabins. When the weather is bad, we often have to cover the cabin windows from the outside due to security reasons. This will give no view. These standard outside cabins for up to two people on the middle and upper decks have separate berths. These comfortable, outside cabins for up to two people on the lower or upper deck have upper and lower berths. On the lower decks, the cabins have portholes for windows. These comfortable, outside cabins for up to two people on the middle deck have separate berths, and limited or no view.